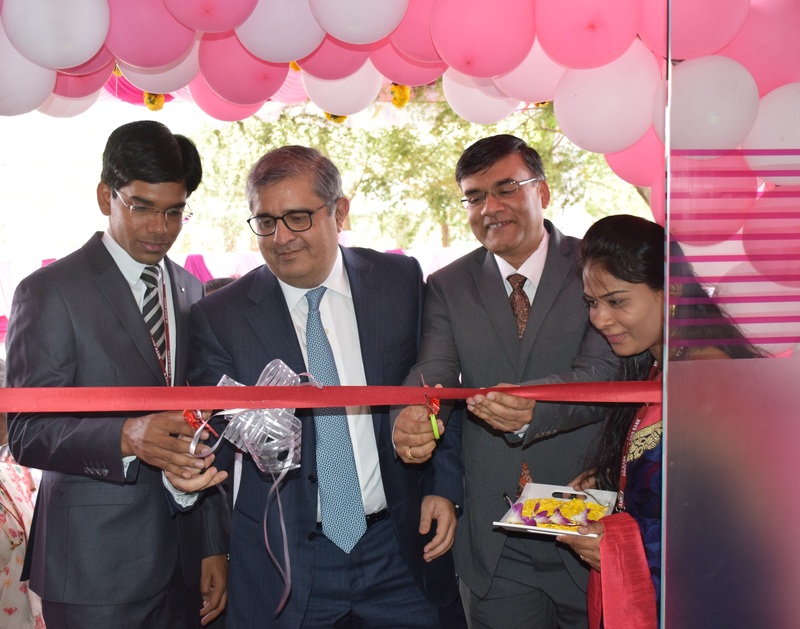 Jaipur, 25th March, 2019: In its efforts to continuously reach out to an increasing number of customers through the length and breadth of the country, Axis Bank, India’s third largest private Bank inaugurated its 4000th milestone branch at Eon, Kharadi in Pune. The new branch was inaugurated by Mr. Amitabh Chaudhry, MD&CEO, Axis Bank and Mr. Ravi Narayanan, President & Head Branch Banking, Axis Bank. Through this new branch, the Bank will offer its customers a comprehensive range of banking services like savings and current accounts, deposits and loans, locker facilities, etc., along with digital solutions. As on December 31st 2018, around 17% of the Bank’s branches are in rural areas and 78% of the Bank’s rural branches are in unbanked locations. The domestic loan growth stood at 18% YOY, while the retail loan book grew 20% YOY. The Bank’s Savings Account Deposits grew 15% YOY and CASA Deposits grew 17% YOY and constituted 46% of total deposits as at the end of 31st December 2018. The sourcing of retail loans through branches has seen significant improvement over the years and contributed 50% to overall sourcing in FY18 vis-à-vis 36% in FY13. The Bank therefore sees greater merit in a calibrated growth of its branch network, through a combination of advanced analytics that help in identifying high potential locations and technology tools that increase staff productivity & smaller branch formats. Axis Bank has 4000 branches, 12290 and 4421 recyclers across the country out of which 432 branches, 2123 ATMs and 788 Recyclers are in Maharashtra and 71 branches, 489 ATMs and 195 Recyclers are in Pune district as on today. With an extensive reach across the country, the Bank actively tries to leverage its geographical spread to expand the reach and impact of its CSR initiatives. The CSR activities undertaken directly by the Bank focus on poverty alleviation, rural development through promoting financial literacy and enabling financial inclusion, environmental sustainability, education and skill development. ABF joined hands with the Government of Maharashtra to transform adverse conditions in 1,000 villages plagued by drought, low human development index and other social challenges. ABF will help in transforming them into ‘model villages’ and will implement its flagship financial inclusion and financial literacy programmes to introduce banking in these villages.